LONDON: 12 MARCH 2015 - ECR Minerals plc is pleased to provide the following update on exploration at the Itogon gold project, Philippines. ECR is the operator of the Itogon project and has the right to earn a 50% interest therein. Three diamond drill holes (EDD001, EDD002 and EDD003) have been completed since the current drilling programme commenced on 22 January 2015. A fourth hole, EDD004, is more than three quarters complete. EDD004 did not form part of the programme as initially planned and as announced by the Company on 22 December 2014, but has been designed subsequently to follow up positive indications from the logging of core from EDD002. Following completion of EDD004, the drill rig will be moved to the ERC002 drill pad. There it is planned that the rig will attempt to extend ERC002 and intercept a structure which was intercepted at depth by EDD002 and which is thought to be of geological significance. ERC002 is a 150m reverse circulation (RC) hole drilled in April 2014 as part of ECR’s first drilling programme at Itogon. ERC002 returned wide intercepts at depth (15m at 3.29g/t gold from 82m, with 2m at 18.25g/t from 92m; and 17m at 1.57g/t gold from 101m, with 3m at 5.45g/t gold from 103m). Excluding EDD004, 439.5m has been drilled to date in the current programme, as summarised in Table 1 below. The target depth of EDD004 is 120m. The Company therefore remains well within its budgeted number of metres for this programme (990m). Decisions regarding further drilling in the current programme will be made on the basis of evolving geological interpretations and assay results as they become available. Core samples from EDD001 and EDD002 are at ECR’s chosen independent laboratory for analysis. Core samples from EDD003 will be despatched to the laboratory shortly. A vein striking approximately NW and dipping approximately 45 degrees to the SW was exposed in the preparation of the EDD002 drill pad. The vein was sampled over 10m of strike using six 1m channel samples, each 2m apart. Assay results from the six channel samples are reported in Table 2 below. The directors of ECR consider the grades to be encouraging. Sampling was carried out under geological supervision. A secure chain of custody was maintained in the transport and storage of all samples, which were shipped to and analysed by Intertek Testing Services Philippines, Inc. (“Intertek”), an internationally accredited independent analytical laboratory in Metro Manila. Upon arrival at Intertek samples were sorted, dried, crushed, split, and a fraction was pulverised. The method of analysis for gold was fire assay (50g charge) with AAS finish. QA/QC measures including the use of blanks and standards were implemented by Intertek in relation to the analysis of the samples. The assay data reported is considered acceptable in the context of these measures. Assay values have been expressed in this announcement as g/t (grams per tonne) gold but are received from the laboratory expressed as ppm (parts per million) gold. For the purposes hereof ppm gold and g/t can be considered equivalent. 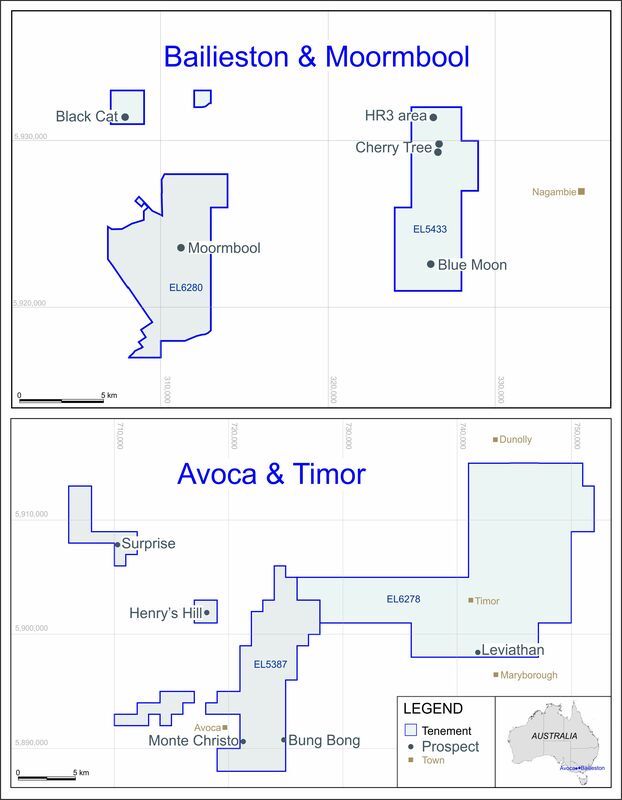 This announcement has been reviewed by Andrew Tunningley MAusIMM (CP), a geologist with the consultancy Exploration Alliance, which has been engaged by ECR in connection with the Itogon gold project. Drilling results for ERC002 contained in this announcement are extracted from the Company’s announcement dated 29 May 2014 and should be read in conjunction therewith. All widths given in this announcement are apparent width. Exploration by ECR to date, including reverse circulation (RC) drilling completed in April 2014, indicates that gold mineralisation in the main prospect area at the Itogon project is hosted by generally north-west trending, south-west dipping to subvertical epithermal veins, with a subordinate set of generally north-east trending veins. ECR’s drilling has confirmed mineralisation over a strike length of 400m and a vertical extent of 250m, open along strike and down dip. The width of the overall mineralised zone at surface, demonstrated by channel sampling, is up to 250m (notwithstanding sections between vein zones which may be unmineralised). The epithermal veins are composed of grey and white, saccharoidal and vuggy quartz with associated clay, calcite, pyrite, galena, sphalerite, chalcopyrite, and vein breccia, hosted by moderately to strongly oxidised and argillised medium grained diorite. Individual veins rarely exceed 1m wide and tend to occur as approximately 0.2m wide, closely spaced, sheeted veins within the altered zones. Establishing the continuity of the vein zones between intercepts at surface, in underground workings and by drilling is an important exploration objective. The highest gold grades are typically associated with multiple narrow, 1-2m wide occurrences of sheeted quartz veins and quartz vein breccia, with a mineralised selvedge grading approximately 0.30g/t gold or higher associated with these structures.